Could your family benefit from 30 hours of FREE childcare. Helpful Neighbours in Verwood & Three Legged Cross. Are you 50 plus and wanting to make new friends? the last Thursday of the month from 14:00 to 16:00 hours. the cost is £1.50 which includes refreshments. We are a friendly group who play games/chat and drink tea/coffee. We also have other events programmed for the year. for your 3 or 4 year old? All parents get 15 hours of free childcare a week for their 3 or 4 year old, but some working parents can now get up to 30 hours free childcare a week. To claim each parent must earn at least £120 a week. You can use the funding to pay for any childminders, pre-schools, nurseries, play groups and out-of-school clubs registered to the scheme. To see the full eligibility criteria, how to apply for January 2018, or to see when you can claim, visit www.dorsetforyou.com/30hours. You can also contact Dorset County Council’s Family Information Service on 01305 221066. Verwood and Three Legged Cross. to visit or help someone who needs it in your community? Could you help with small one off tasks such as 'change a light bulb', 'small sewing jobs', 're-tune a television', 'take rubbish to the tip', 'post a letter' or 'walk a dog'? Or share a cuppa while having a chat? A DBS check would be required for all volunteers. from 11.00am–12.30pm at The Hub, Brock Way, Verwood BH31 7QE. 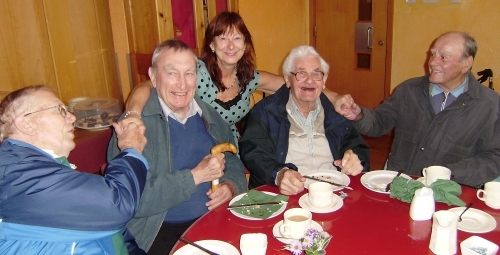 their carers, family or friends to meet in a relaxed social setting. Refreshments are available and there are optional activities. Elderly, maybe a bit lonely, maybe not finding it easy to get out; then why not join us at our Day Centre at the Bandhall, Moorlands Road for a change of scene? Teas, coffees, a two course lunch and a good chat and maybe a hand at cards etc, Mondays and/or Wednesdays 10am-3pm. Transport within Verwood is possible with our minibus. If this is you, or you know someone who fits the bill, then give us a ring for more details. We are also always in need of volunteer helpers , drivers and minibus escorts. .If you can spare an enjoyable and rewarding few hours on some Mondays and Wednesdays to suit you and would like to make a big difference to us and elderly people's quality of life and make new friends please give us a ring. 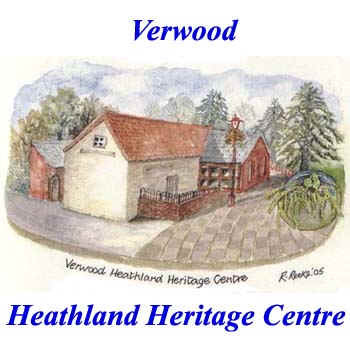 local dining events in and around Verwood. or simply come along for an evening of fun and laughter. which takes place at several venues around the county. These fortnightly sessions give those people affected by memory loss, and their carers, the opportunity to meet others who share an enjoyment for music. Music has been proven to be beneficial for retaining memory. Sessions include activities such as warm up exercises, singing exercises, tongue twisters, group singing, instrument playing and discussion about music using questions and visual aids. We aim to make the sessions as fun and informal as possible. 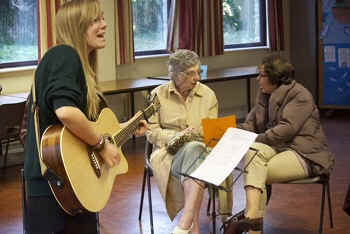 It doesn’t matter whether those attending either as clients or volunteer helpers are musical or not, this is about promoting health and wellbeing for people with memory loss and equally for their carers. which is desperate for volunteers. to join our friendly club. Join us on Thursday's from 2 till 5 p.m. or Fridays from 7 till 10 p.m.
but please bring Bowling Shoes or Slippers. The Cinnamon Trust Needs You. 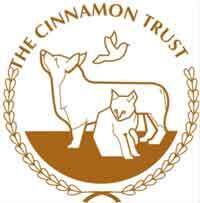 The Cinnamon Trust is the national charity formed to support the elderly and terminally ill and their much loved, much needed pets. Volunteers help to keep owners and pets together either by walking a dog for a housebound owner, fostering pets when the owners need hospital care and even cleaning out a bird cage. Unfortunately we have a shortage of volunteers in Verwood who are able to offer some much needed walks for a dear little 9 year old Yorkie. The Cinnamon Trust is desperate for volunteers in the Verwood area. If you can only offer an hour a week it will improve the dog’s quality of life so much and give the owner peace of mind. Or email volunteer@cinnamon.org.uk. Website www.cinnamon.org.uk. Poole Lighthouse to hear this brilliant orchestra. Verwood, Three Legged Cross, Ashley Heath & West Moors. Ring on of the facilitators on 07593 373580 on a weekday between 10 a.m. and 12 noon to book a driver. Normally 4 days notice is required. Facilitators will try and match your requirements. ...a service that build resilience for people and theit communities. Can you get transport to the Hospital or doctors? Are you getting all the benefits you may be entitled to? Is your house still suitable for your needs, are the stairs a problem? Are you caring for someone and need support? Would you like details of local clubs and activities? Do you nee help with money problems? Do you need help around the house or in the garden? Have you got a smoke alarm and door chain? right direction for specialist help and advice about all of these questions and many more. Wayfinders are part of Dorset POPP and managed by the registered charity Help & Care. at The HUB from 10 a.m. to 12:30 p.m.
Want to know more about meetings? Contact Dave Hazel one 07793 988744 or Hilary Foggo on 07891 351766 .
by Royal Voluntary Service volunteers. If you find it hard to get to the library, we may be able to arrange for books to be delivered to your home, at regular intervals by volunteers from the Royal Voluntary Service. 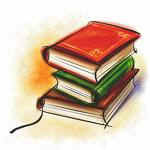 We offer a wide range of fiction as well as information books on country life, cookery, travel, biography and other popular subjects. Large print books and talking books are also available. Visits are usually every three weeks and all volunteers carry identity cards. The Concertina Charity makes grants to charitable bodies which provide musical entertainment and related activities for the elderly. The charity is particular keen to support smaller organisations which might otherwise find it difficult to gain funding. The trustees of the charity review applications on 31 January, 30 April, 30 June and 31 October. Below is a list of referral agencies where you can have a chat about your crisis and pick up a Food Voucher that you can use to redeem food from the Verwood Distribution Centre. Dorset County Council Adult & Community Services (Penny's Walk, Ferndown. When the distribution Centre is closed you can still redeem your voucher and receive an Emergency Food Parcel from the Trussell Trust shop in Verwood or the Trussell Trust shop in Ferndown but only during their opening times.